​At artPOP we raise the bar on DIY. The artBAR offers a space that you can come in at a time convenient for you and work an art project at your own pace. Our projects range from easy to moderate depending on your comfort level. We change our projects monthly to keep it fresh. We have everything from jewelry, mixed media, home decor and self care - we even focus on seasonal art. Intimidated by new projects or just art projects in general? Our staff is always available to guide you through a project and provide as little or as much help as you like. At artPOP, everyone is an artist. So get your art on and come in during any of our artBAR open hours and create. We have the plan, the supplies and equipment! And remember you get to leave the mess to us! (ages 8-12 must be accompanied by an adult). Check Facebook for up to date artBAR hours. For more details on any artBAR items, email us at artpoponmarket@gmail.com. Appointments and private hours can be requested for artBAR activities for parties of three or more. In March we are featuring all things green. We have new terrarium offerings to include fun egg shaped vessels just in time for Easter. 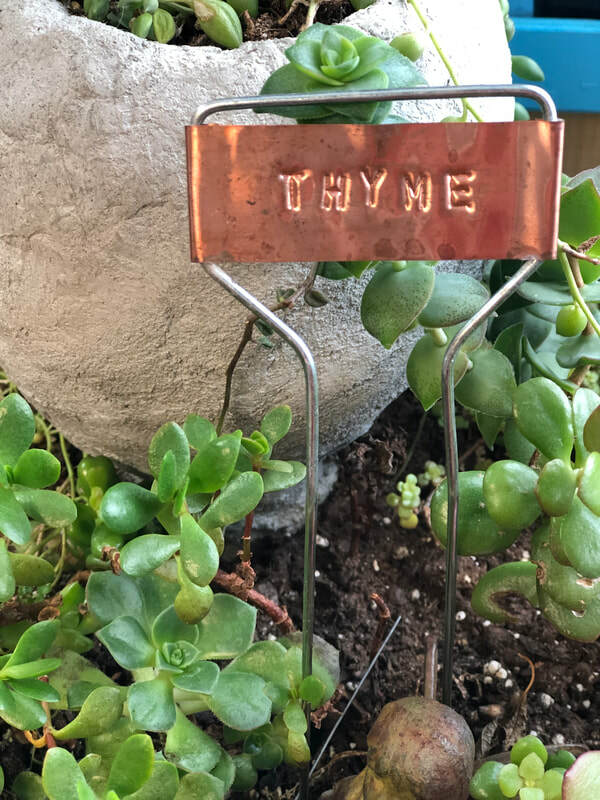 In addition, we have copper garden stakes to personalize. Use them indoors or out, they patina beautifully over time. So on pop in during our open hours and put some color in your winter.